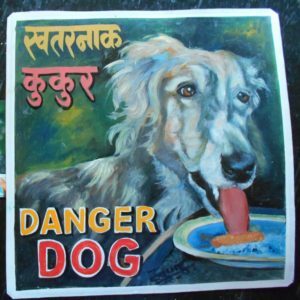 Folk art portrait of Lola the Borzoi eating ice cream hand painted on metal in Nepal. Nara uses a bright blue background in all of his work. 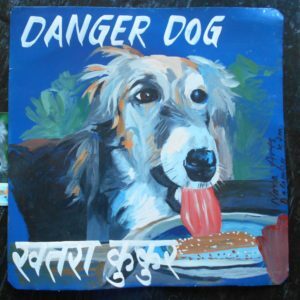 Folk art portrait of Lola the Borzoi eating ice cream hand painted on metal in Nepal.